This is our full guide on the the best items to pair with both the Light Bowgun and Heavy Bowgun in Monster Hunter World. 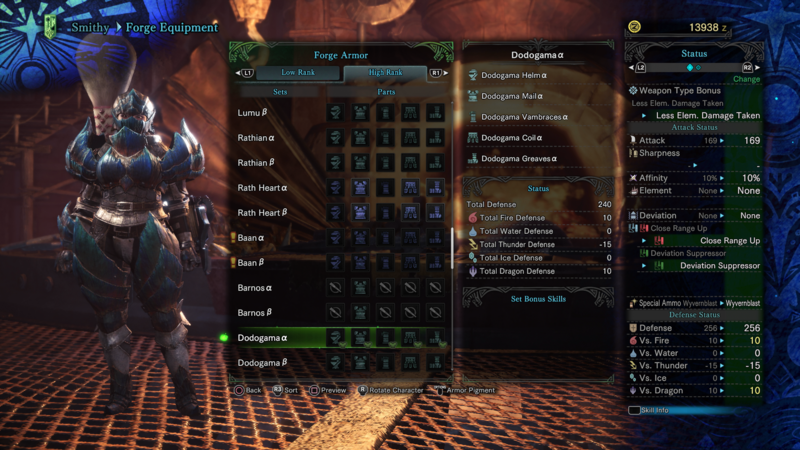 There might be two variations of the bowgun in Monster Hunter World, but each can be paired with the correct armor sets to make them even deadlier. In this Monster Hunter World bowguns guide, we'll be providing you with all the details you need to know on both the light bowgun and the heavy bowgun, as well as outlining armor items that you should be pairing with each type of weapon. If you need anything else on Monster Hunter World, including how to successfully capture a monster using the Tranq Bomb technique, as well as all the information you need to track down a monster using the Scout Flies, make sure to head over to our Monster Hunter World guides walkthrough hub. When you’re going into battle with a Bowgun in MHW, you’ll always want to take full advantage of any special ammo you’ve got stored in reserves, such as Poison or Pierce ammo which, unlike the standard ‘normal’ ammo, doesn’t come in infinite supplies. You’ll therefore want to be on the lookout for armor skills which can boost the power of said special ammo, such as the Teostra armor’s Special Ammo Boost skill, which increases the power of Bowgun special ammo and Dragon Piercer shots by 20%. Alternatively, you might want to specialise in explosive attacks when wielding a Bowgun of any kind in Monster Hunter World. If powerful, explosive shots are what you’re after, then look no further than the Dodogama armor set, which features the Bombardier skill which boosts the damage of explosive items, while also boasting the Artillery skill, which increases the power of explosive attacks. If you find you’ve got a nice reserve of explosive ammo stocked up in your item box, then make sure to equip the Dodogama armor set. Finally, we’d recommend trying out the Anja armor set, unlocked through slaying the powerful Anjanath in the Ancient Forest. 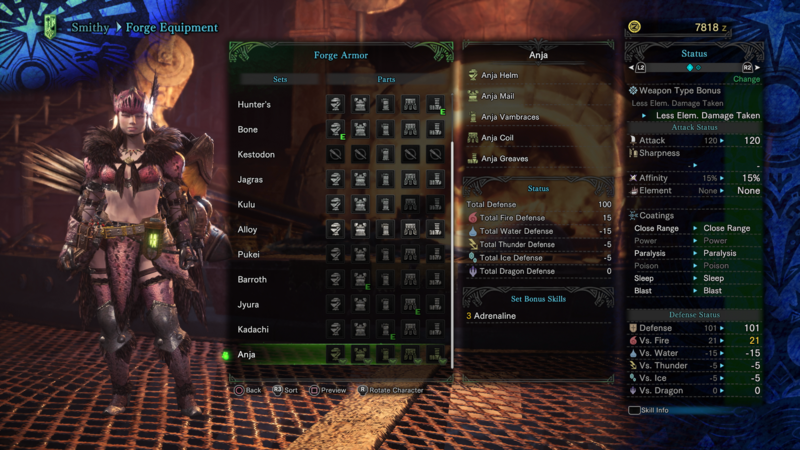 The Anja armor set firstly boasts the aforementioned Artillery skill which increases explosive attacks, but it also has the Special Ammo Boost skill, which increases every single Bowgun special ammo, no matter what type of ammo it is. This never lets you down, as it can increase any type of ammo, from Piercer to Spread. As for the other items that you can take into battle with you in MHW, the Normal Shots Charm works a treat for all Bowgun users, as it’ll boost the power of all standard Bowgun ammo. The Mighty Charm 1 should also work well if you’re able to avoid dodging for a while, as it’ll boost your Affinity when your stamina is full, allowing you to hone in on a monster’s weak points from afar. Another Charm item that you might want to try out is the Awakening Charm 1, which boosts the clip sizes for all Bowgun ammo, a nice talent to have when you need to fire off shots quickly. We might be done with our Bowgun builds guide for Monster Hunter World, but make sure to check out our additional guides for the game, including our full weaponry guide, as well as our complete armor guide.